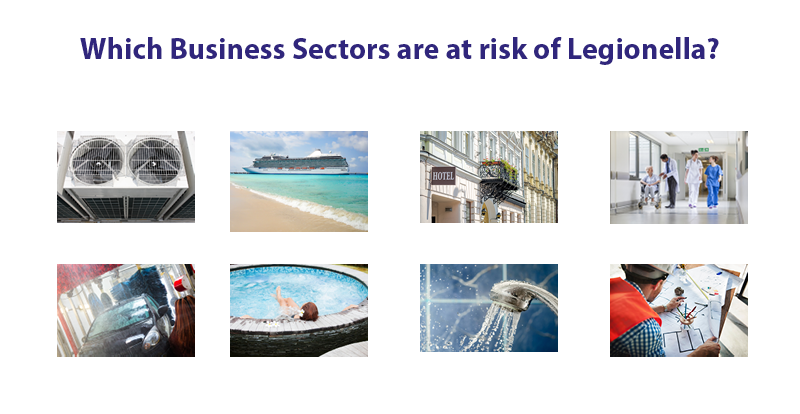 The risk presented by Legionella is one of the tough challenges colling tower owners and managers have to face on a regular basis, in order to keep their facility and surrounding area safe. Most owners of cooling towers in the UK are aware of Legionella and Legionnaire's disease and know they have a legal responsibility to assess and control the risks they present. However, in most cases recognising their obligations does not mean that they are actually meeting them. For this reason, our team of Legionella experts put together a short summary on how to manage Legionella risks in cooling towers. 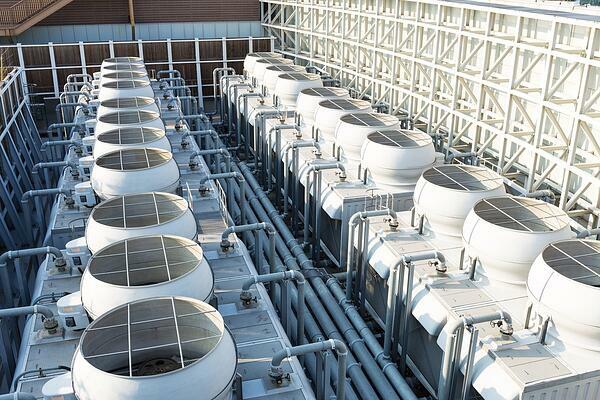 Let’s start from the beginning: What Is A Cooling Tower? A cooling tower is a specialized heat exchanger, designed to remove heat from a building by spraying water down a tower to exchange heat in its interior. Air comes in from the sides of the tower and passes through the falling water. As the air passes through the water, heat is exchanged and some of the water evaporates. Cooling towers are primarily used for heating, ventilation, and air conditioning (HVAC) and industrial purposes 1. Water within cooling towers is heated via heat exchange, a process which creates ideal conditions for Legionella heat-loving bacteria to grow. Because of their ability to spread Legionella over a wide area, cooling towers are regarded as one of the most dangerous and heavily regulated sectors in the water treatment and Legionella control sector2. However, if cooling towers are well maintained and suitable control measures are being implemented and monitored then they can actually present a lower risk than your shower at home. Owners are ultimately legally responsible and must take an active role in managing the control of Legionella within their system. From a legal and regulatory position, it is not sufficient to hire a water management company and then rely on their best efforts. The facility owner is ultimately liable for the safety of the premises and has to be sure that all reasonable practical control measures are being taken - not just that the minimum requirements have been fulfilled. In practice, even the most well-managed water systems are subject to failures and cannot always meet the required control criteria. Water temperatures vary within a system and can go out of recommended control ranges; dead legs are not properly controlled and even within standard maintenance cycles, a build-up of biofilm – which offers protection and nutrition of Legionella bacteria- cannot be easily avoided. Controlling Legionella is the most important objective, but you should be wary of those who say that your system is always controlled. Cooling Towers – Identification and assessment of the Legionella risks3. In the UK It is a legal requirement to carry out frequent risk assessments on cooling towers, to identify and assess any Legionella risk presented by the system, or any work associated with it. it is likely that any of your employees, contractors, visitors, the public etc could be exposed to contaminated water droplets. Remember: 90% of the outbreaks had their root causes in failures to identify risk (i.e. to recognise possible Legionella problems) or to put in place effective schemes of control to deal with the identified risks2. The risk assessment indicates more frequent monitoring is required3. Remember: Effective and consistent monitoring of water quality is essential to maintaining overall control. Effective Legionella Risk Management programmes need new technologies that can detect bacteria quickly and accurately. Traditional lab methods, which take up to two weeks to provide a result, and which ignore dangerous forms of Legionella bacteria, have never been adequate. The industry has already started moving away from these traditional methods towards a more holistic, risk management approach that includes rapid, on-site testing. On-site testing enables more flexible and individually tailored programmes. Getting results in 25 minutes instead of 10-14 days allows responsible parties to make quicker and better-informed decisions regarding water treatment. It helps to prevent outbreaks and promotes better public health outcomes. While Rapid testing is not a replacement for a lab culture test, it is a powerful, additional tool. It allows continuous monitoring of water systems to reduce Legionella risks to a minimum. Hydrosense is the world’s only rapid on-site test for Legionella. Hydrosense is an antigen-based test that detects all ten recognized subtypes of L. pneumophila serogroup 1 (LpSG1), the strain of Legionella that is responsible for 70 to 92% of laboratory-detected cases of Legionellosis, in the United States and Europe 4. Hydrosense has a recovery rate of 80% which is better than the recovery rate of any lab test 5. The ISO 11731:2017 Standard research shows that an average recovery rate from the multi-country inter-laboratory trial isless than 64%6. False negative results are a serious problem for Lab Culture techniques – even for ISO-accredited labs. Hydrosense test also detects the bacteria in its dispersal phase, where Legionella is moving freely in water, looking for new hosts. This phase is called Viable but Non-culturable (VBNC). When Legionella is in this phase it is still extremely dangerous to humans. However, this phase cannot be cultured in the lab, which means that the lab test does not detect the bacteria in its most virulent state 7. The Hydrosense test provides an excellent way to monitor the effectiveness of a control system. Hydrosense provides fast results on-site, without expert assistance, so it is simple to monitor between regulatory quarterly checks. If there is a problem, it is immediately identified, and prompt remedial action can be taken – protecting clients, staff and the public. This method also protects your reputation and your business from public liability claims. Cooling towers have a specific problem with the cooling tower packs. Bio-film builds upon the cooling surfaces. These are great places for Legionella to grow. Under normal working procedures, these packs have to be dismantled and disinfected regularly. The Hydrosense bio-film kitprovides all of the tools required to monitor the state of the cooling tower packs in situ, both before and after treatment, thus saving considerable amounts of money in unnecessary downtime. Further, once a problem has been identified and dealt with, it is possible to check the efficacy of the remedial action quickly. This provides the confidence and the data on which to restart operations. Why wait 10-14 days for lab test results? ‘This simple test allows organisations to maintain vigilant control on water system quality’- Craig, Operations Manager. EPSCO is a Scottish based company which delivers the highest standards in water system cleanliness and performance, specialising in Offshore and Marine potable water, Industrial Cooling and Water Utilities. Over the last 15 years, EPSCO has become an invaluable part of industrial cooling system maintenance in many European countries such as the UK, Netherlands, France to name just a few. A wide range of industrial operators from whisky distilleries through to some of Europe’s largest power stations rely on their cleaning processes to ensure the safety and performance of their cooling systems. To meet the needs of their customers EPSCO, a Scottish water management company, introduced the Hydrosense Rapid Test into their Legionella control and monitoring plan in 2007. The test provides proof of efficacy of their routine and emergency cleaning. Once a contaminated cooling system has been treated, EPSCO uses Hydrosense to confirm that the treatment was effective. This prevents shutdowns, financial liability and reputational damage. Hydrosense smartphone reader is also well embedded in the company’s post-completion verification processes and is, in fact, a mandatory element of EPSCO’s Cooling Tower cleaning and disinfection method. ‘It gives our clients a peace of mind’ says Craig, operations manager. All engineers working at EPSCO agree that Hydrosense test has made their job much easier. The management team admits that delivering reliable results on-site in 25 minutes adds extra value to their service offering and helps them to differentiate the company from competitors. Craig believes that a new approach to Legionella testing is critical in cooling towers sector and Hydrosense is a perfect addition to their services. "EPSCO have used and supplied Hydrosense for the past 11 years both as a verification method for regular maintenance activities and for ongoing system monitoring purposes. This simple, easy to use test has become a valuable tool both to our clients and to EPSCO as providers of system critical services." Joseph, C., Ricketts, K. and on behalf of the European Working G, C. (2010). Legionnaires’ disease in Europe 2007–2008. Eurosurveillance, [online] 15(8). Available at: https://www.eurosurveillance.org/content/10.2807/ ese.15.08.19493-en [Accessed 5 May 2018]. Alleron, L., Merlet, N., Lacombe, C. et al. Curr Microbiol (2008) 57: 497. Available at: https://doi.org/10.1007/ s00284-008-9275-9 [Accessed 22 Jun. 2018].